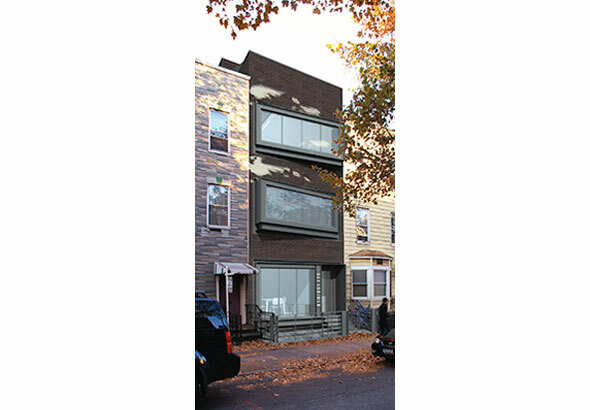 For this multi-family, residential renovation in Brooklyn we were asked to provide a modern interpretation of the vernacular row house. Our decision was to incorporate a brick facade with projected, canted bay windows and to keep the front elevation at a scale that respects the neighborhood fabric. 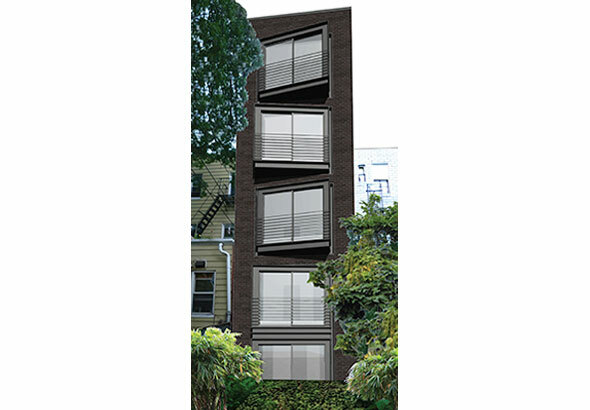 The richly detailed, steel clad, bay windows provide visual interest, abundant light and air to the apartment interiors, and views to Manhattan from the rear facade. 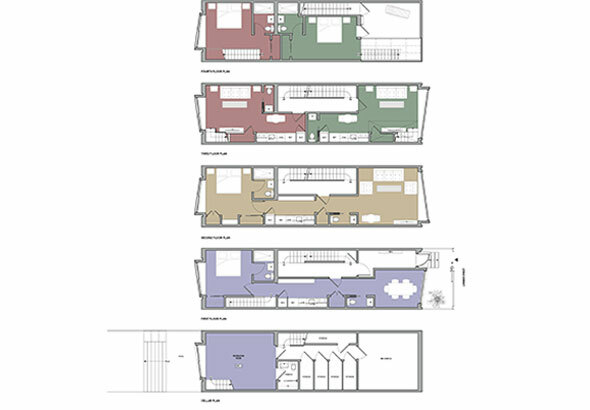 Open plans, in the narrow building footprint, allow for maximum flexibility of use. Completion is expected in the fall of 2015.